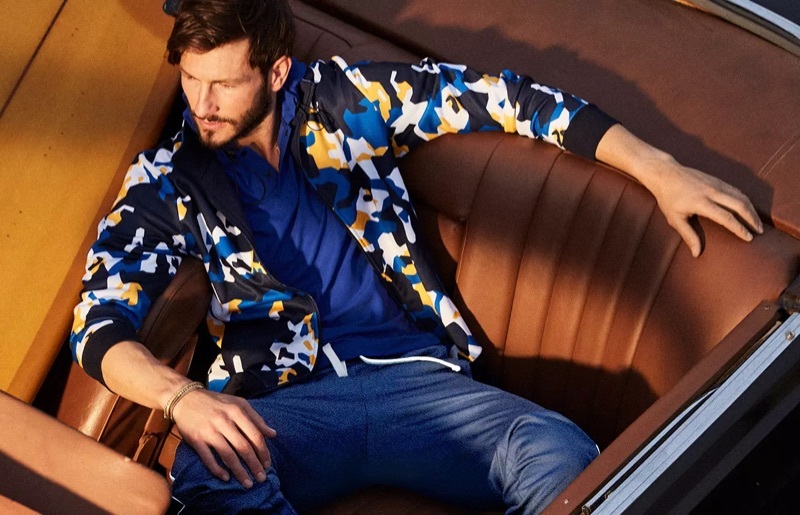 Parker Gregory rocks a Club Room camouflage print track jacket. 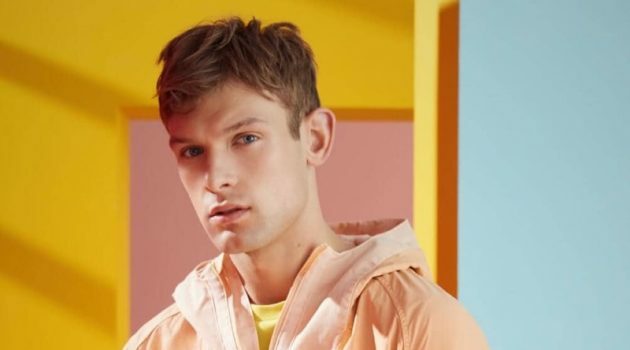 Macy's embraces chill vibes with another look at spring activewear. 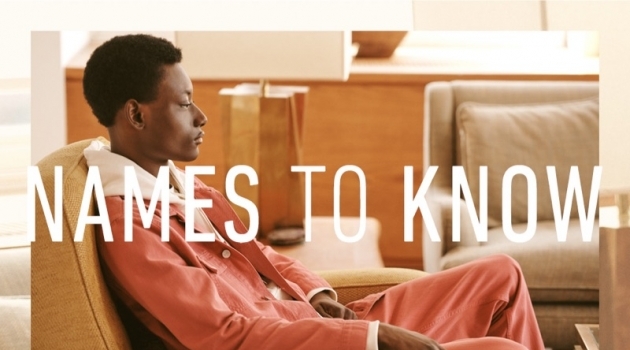 The retailer features color blocking, bold prints, and vibrant hues for the outing. 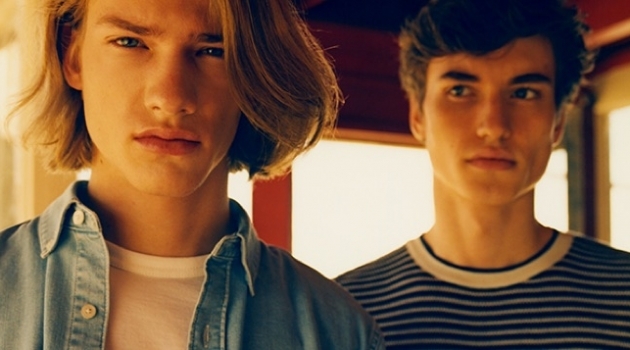 Models Francisco Henriques, Hamid Onifade, Hunter Bach, and Parker Gregory come together to showcase available wardrobe ideas. The models wear windbreakers, tracksuits, logo t-shirts, and hoodies. Brands range from Superdry and Tommy Hilfiger to Columbia. 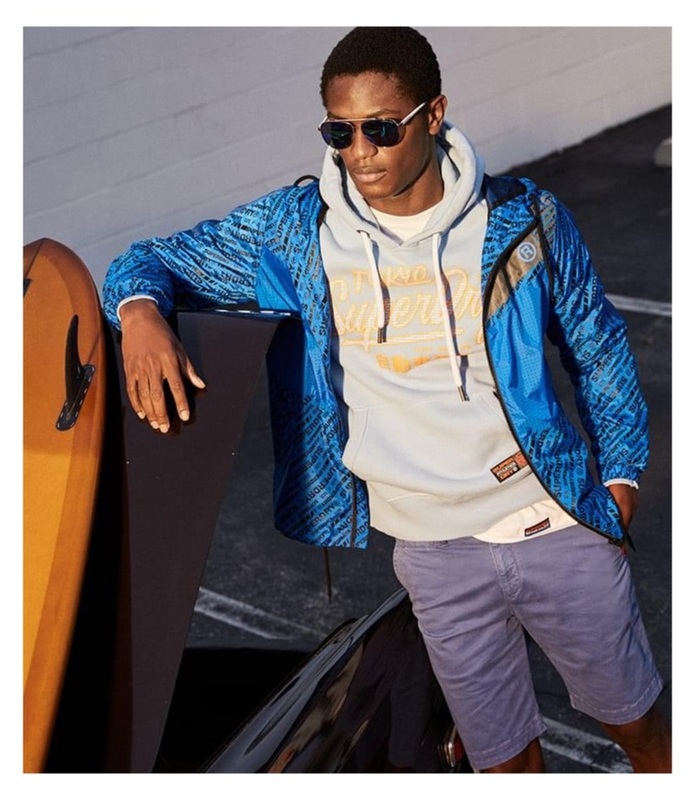 Hamid Onifade sports a Superdry logo graphic hoodie and jacket. All smiles, Francisco Henriques wears a Champion track jacket and pants. Going sporty, Hunter Bach wears a Tommy Hilfiger colorblocked graphic hoodie and stripe chinos. Portuguese model Francisco Henriques dons a jacket and t-shirt by The North Face. 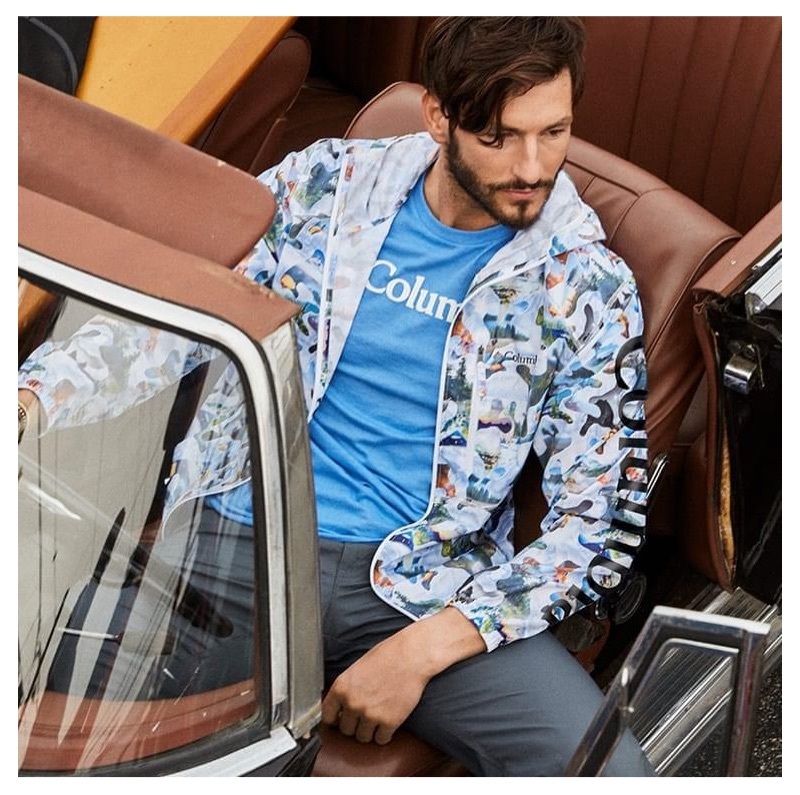 Wearing Columbia, Parker Gregory sports a windbreaker, t-shirt, and pants.